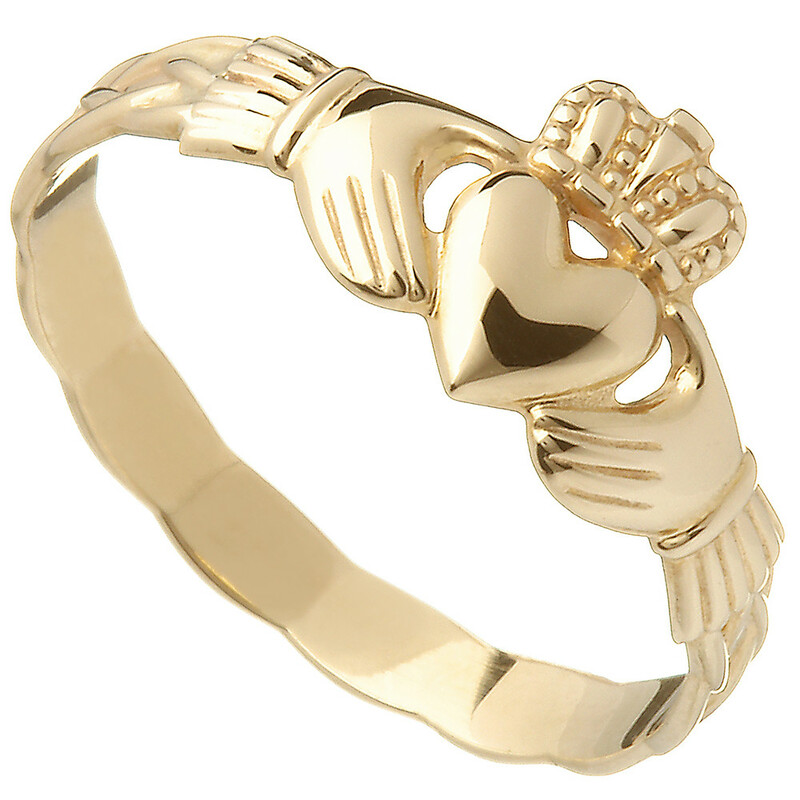 A Ladies Claddagh ring in a traditional Irish style, with an exquisite braided band. 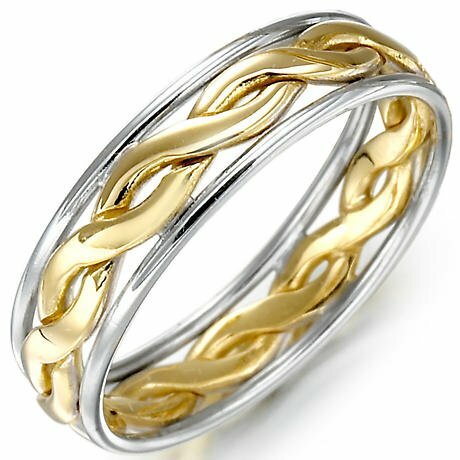 This 10k yellow gold ring is the perfect Irish symbol of Love, Loyalty and Friendship represented by the elements of the claddagh, the heart, crown and hands. Measures approx. 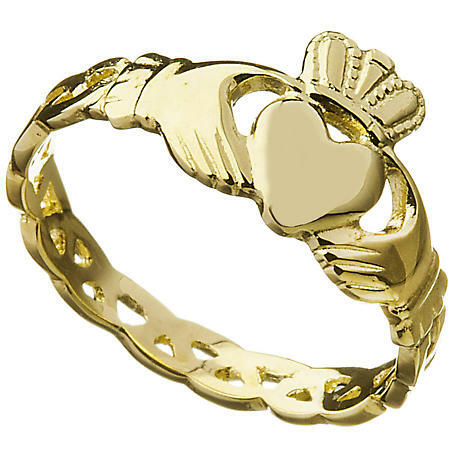 2mm wide across the shank and 8mm wide from the top of the crown to the tip of the heart. Please allow approx. 14-17 working days to be completed.